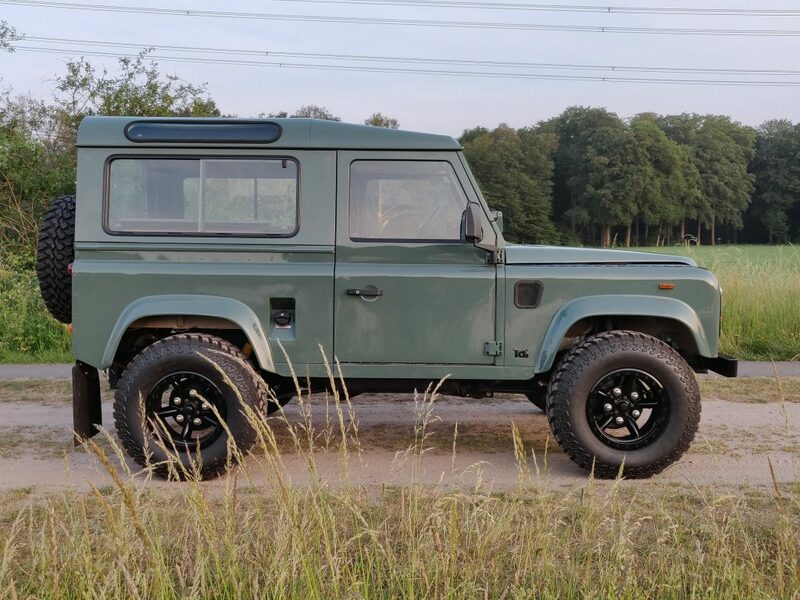 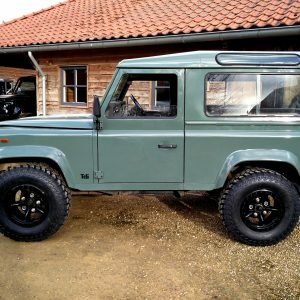 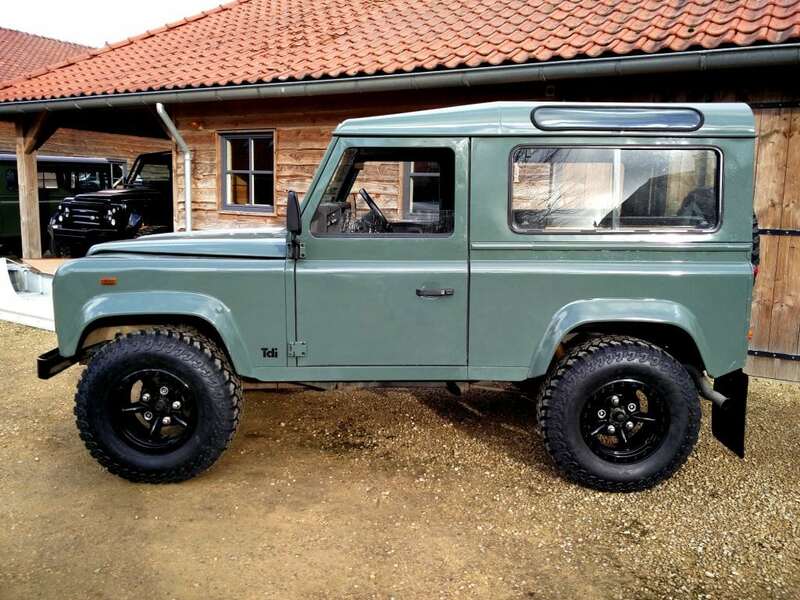 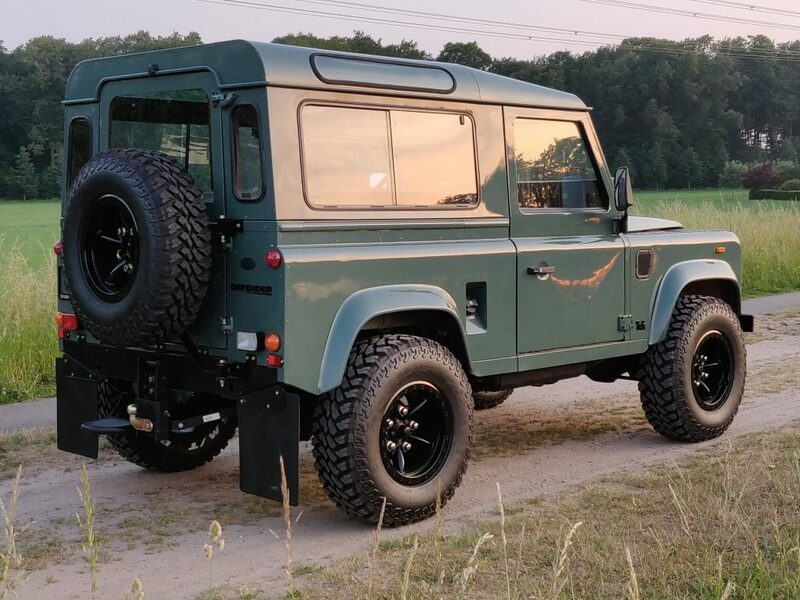 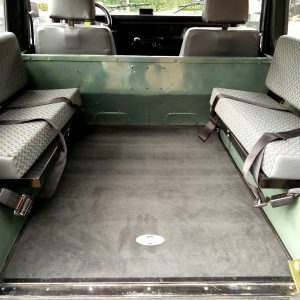 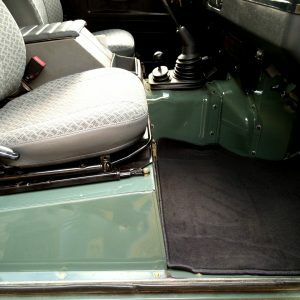 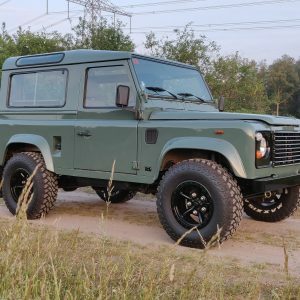 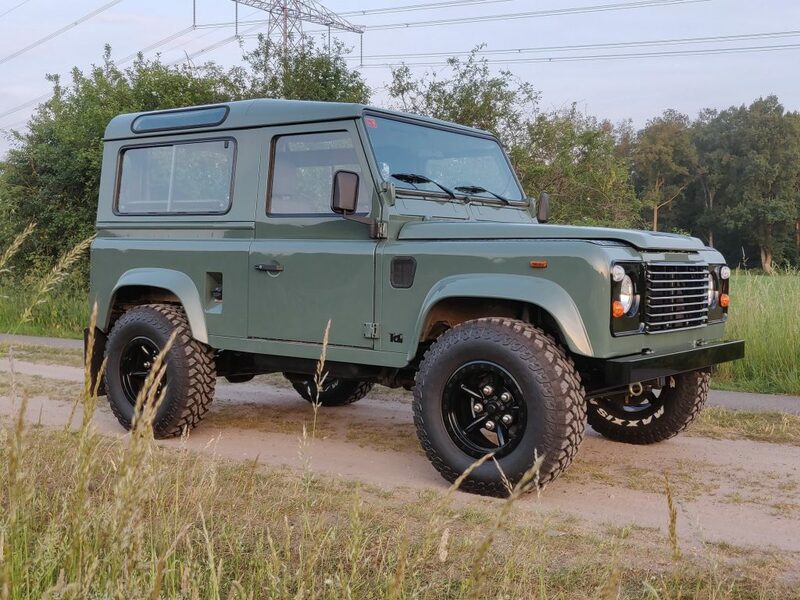 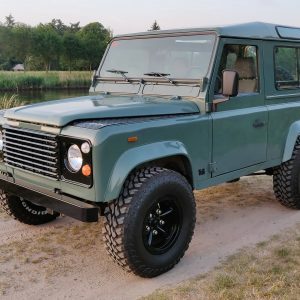 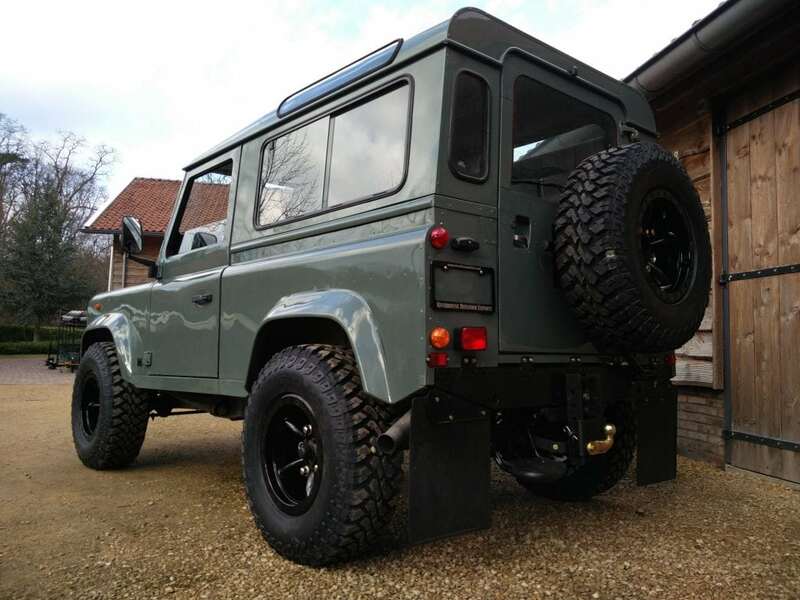 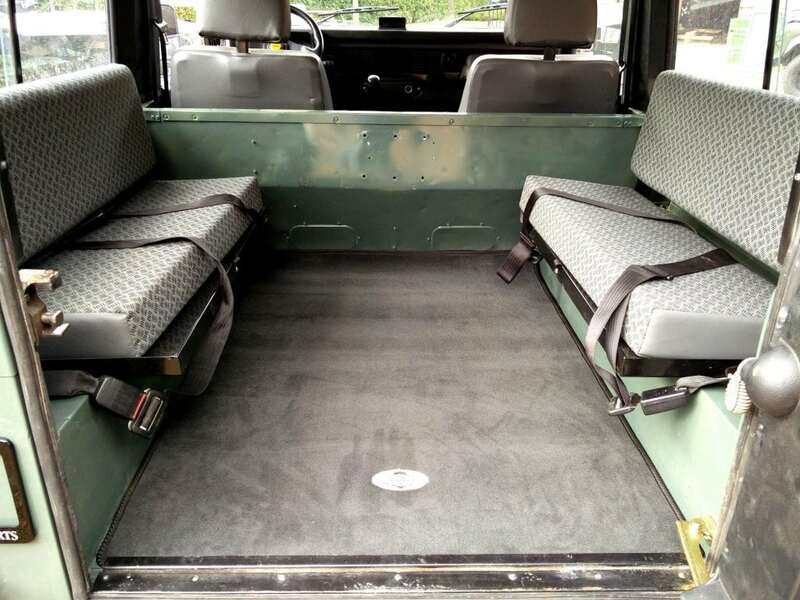 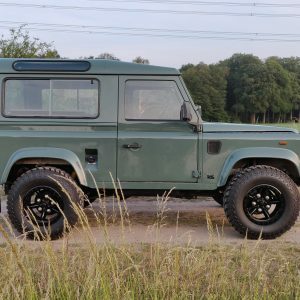 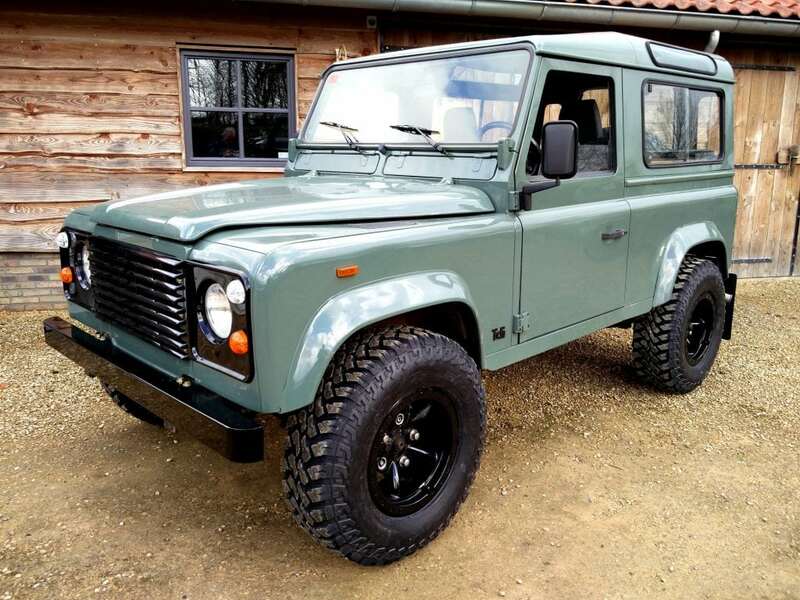 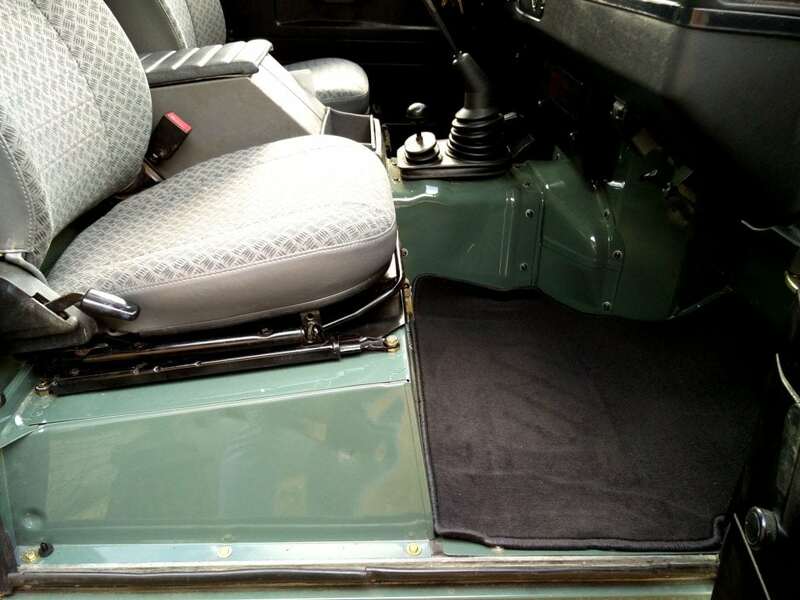 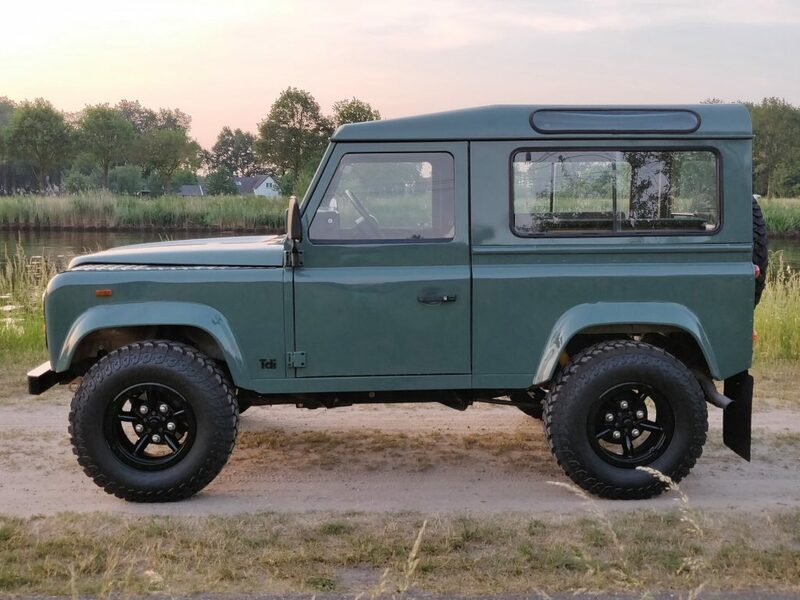 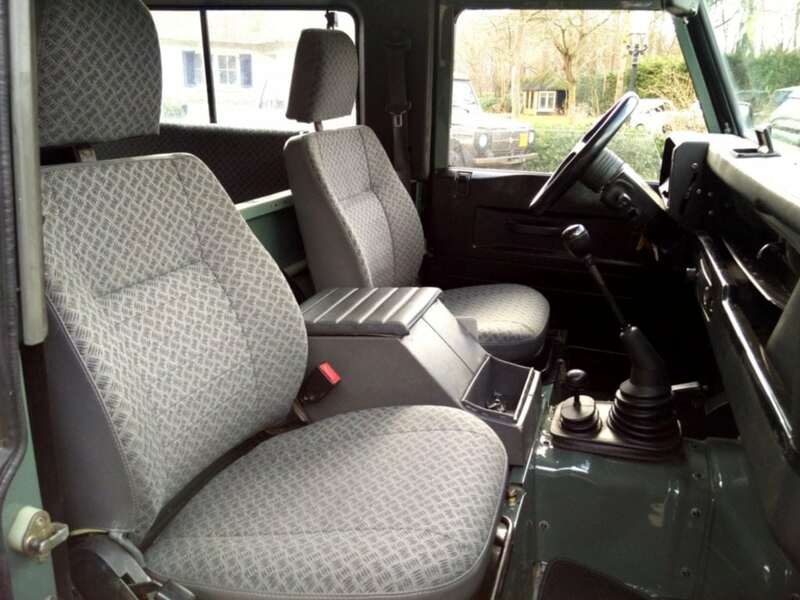 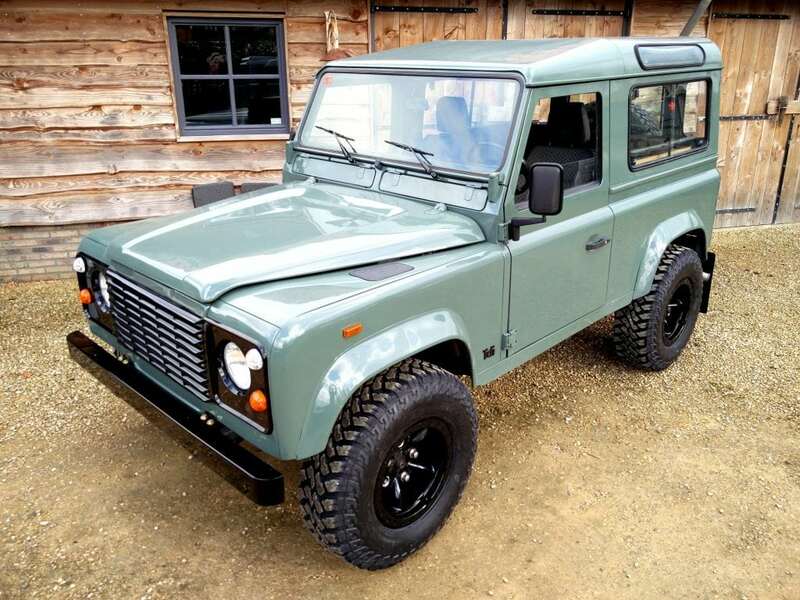 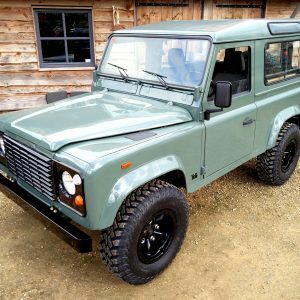 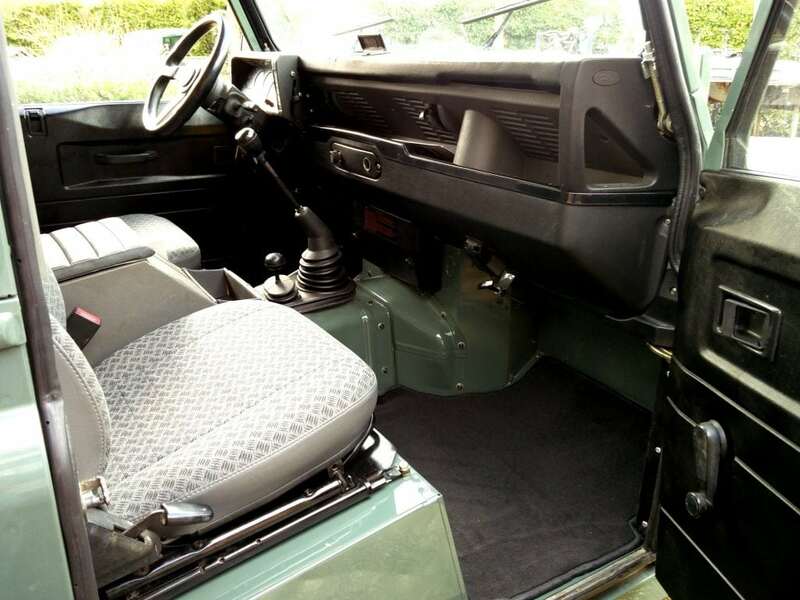 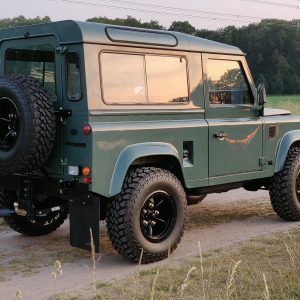 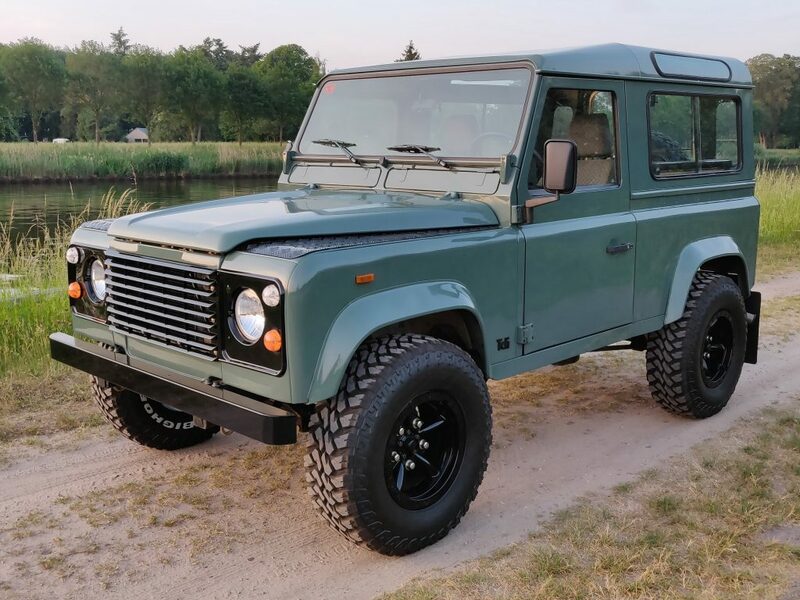 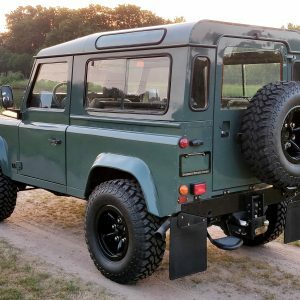 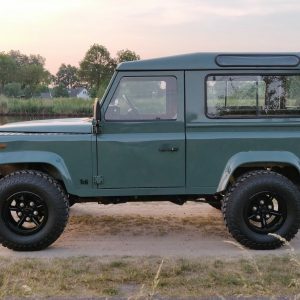 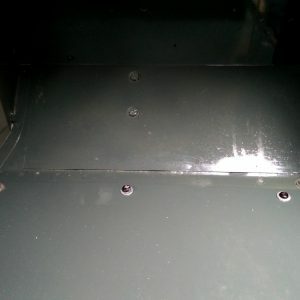 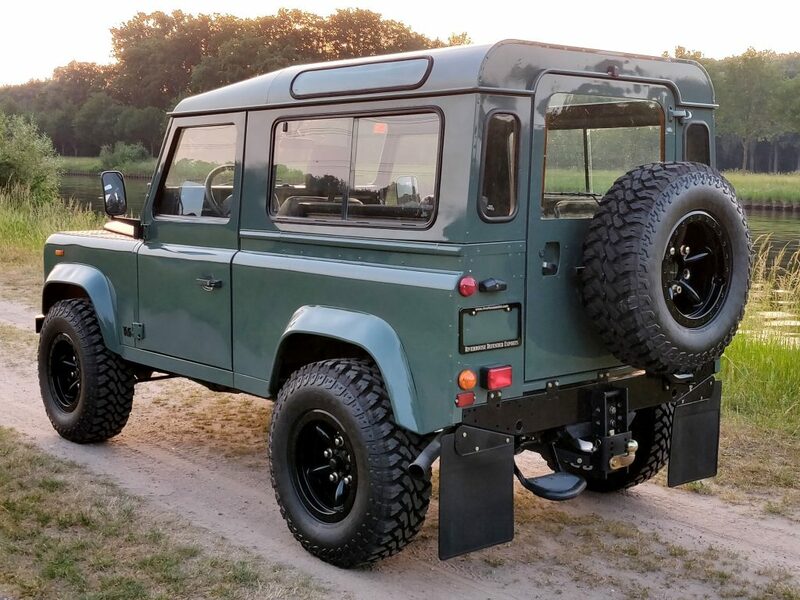 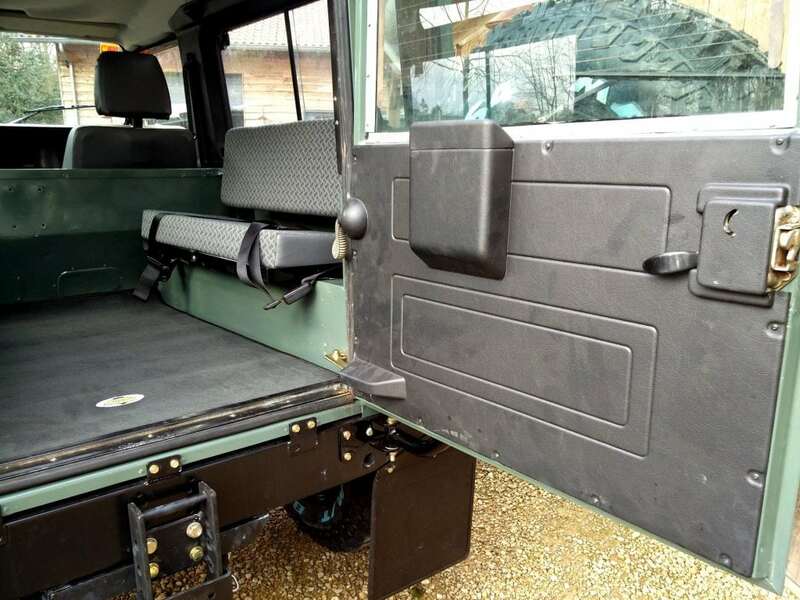 1991 LHD Defender 90 Stationwagon 200 Tdi, stripped and repainted in classic Keswick Green. 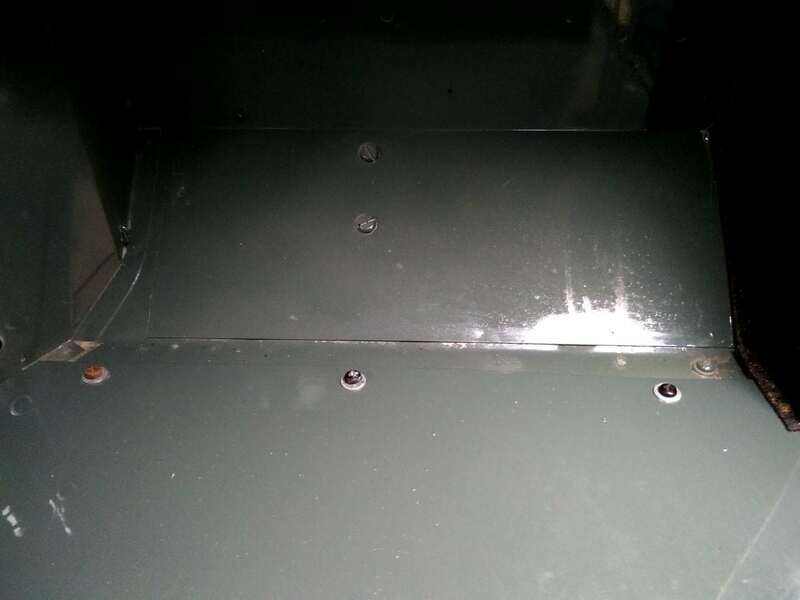 All floors, doors, trim, glass and lights removed for paint. 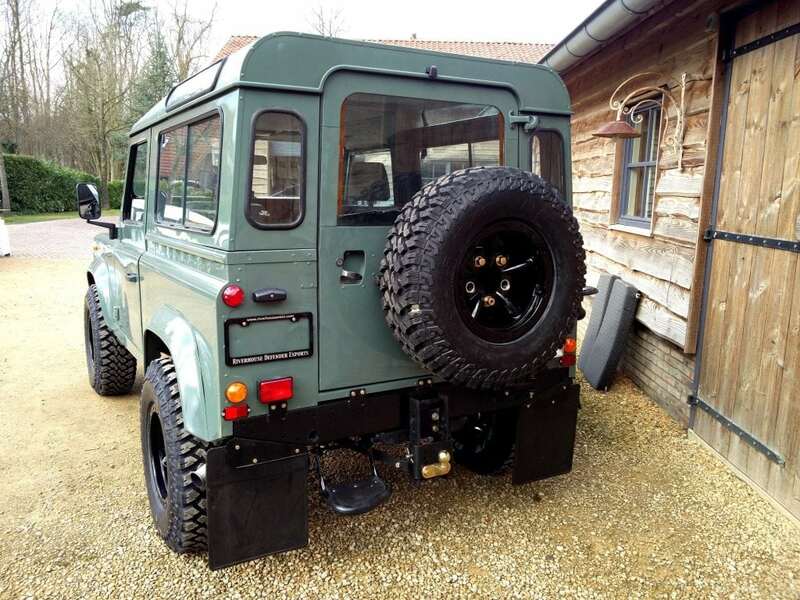 Front and rear suspension as well as brakes checked for wear and replaced where necessary. 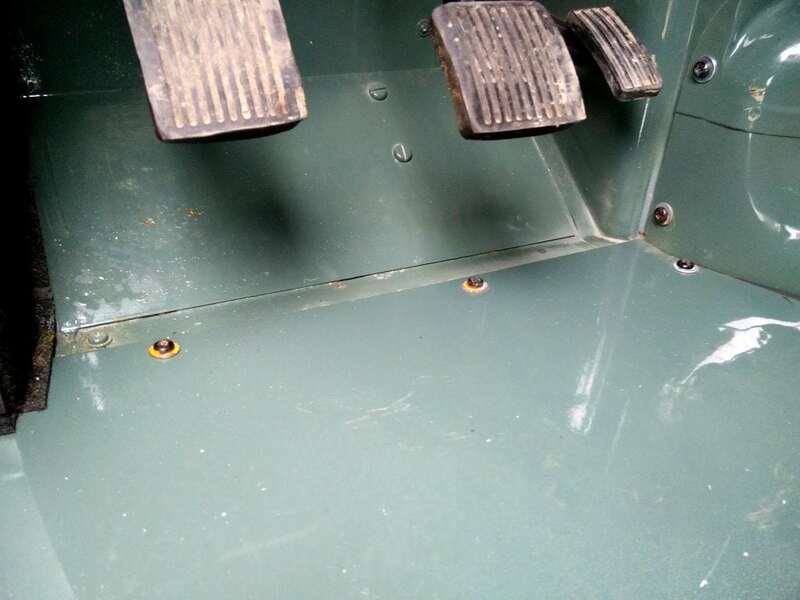 Front swivels rebuild with new parts. 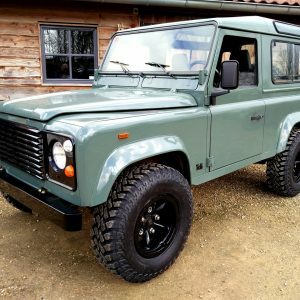 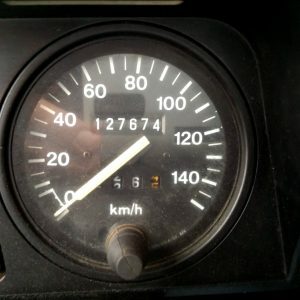 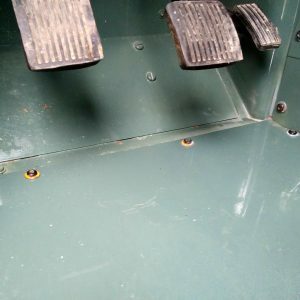 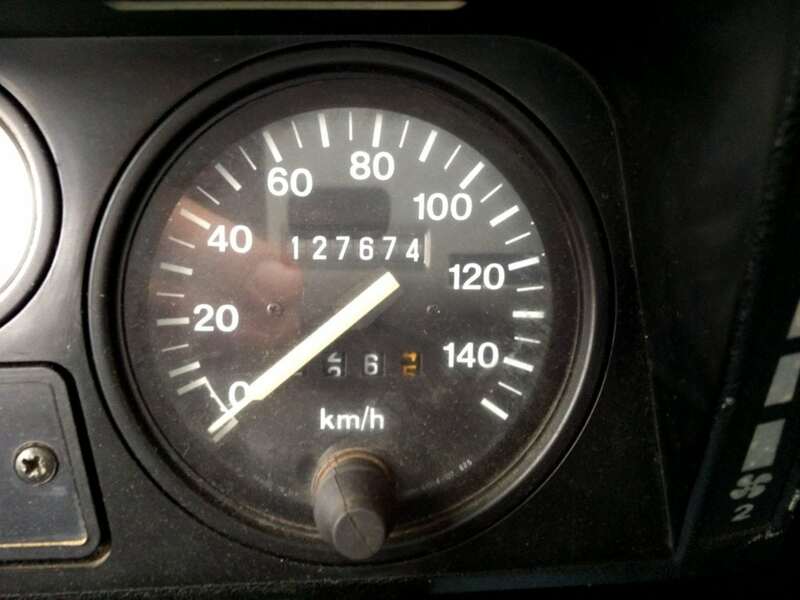 Superb rust free chassis, never been welded or repaired, bulkhead in rustfree condition, never been repaired with rock solid floorpans. 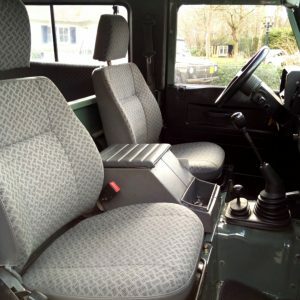 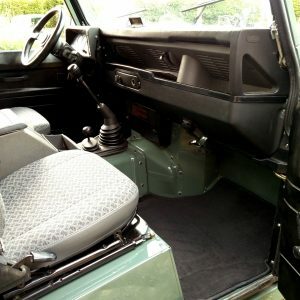 New Techno trim front seats and rear bench seats, new seatbelts, new front and rear mats. 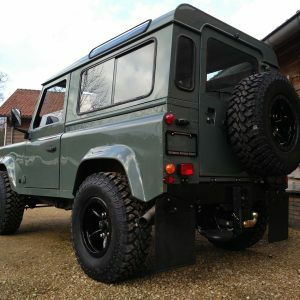 New gloss black 8 x 16 Alloy wheels with 265 85 16 tyres. 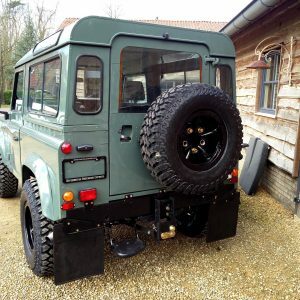 New lights, new gloss black front bumper, grill and headlight surround. 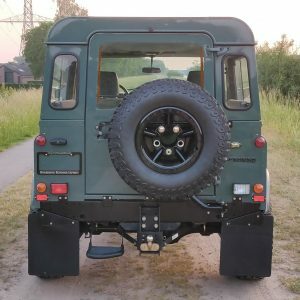 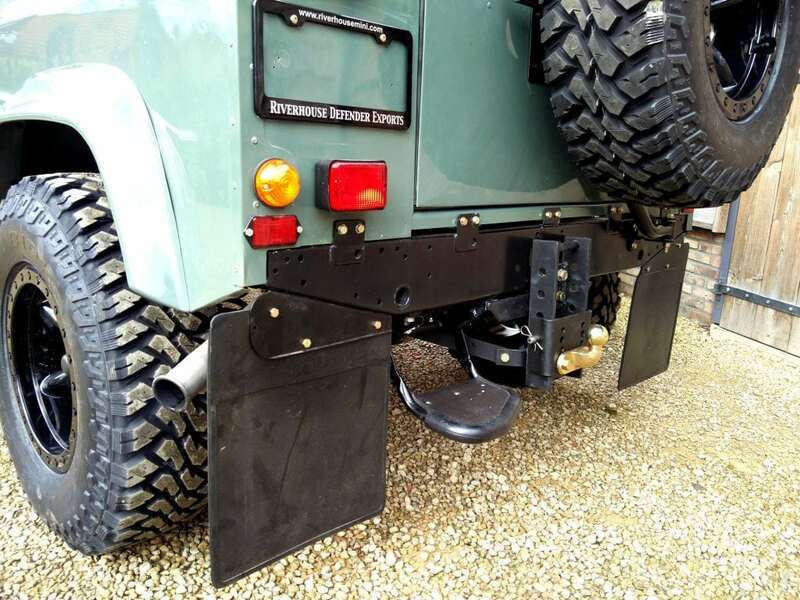 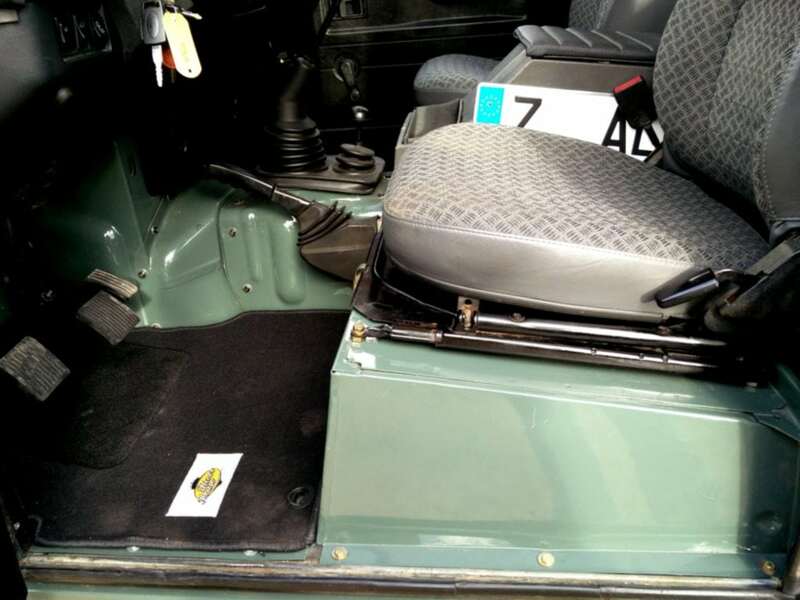 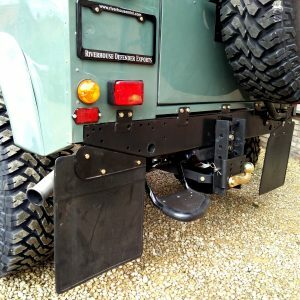 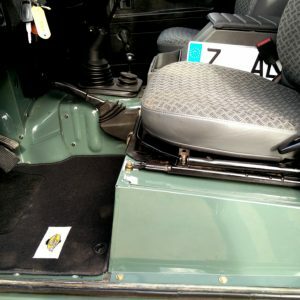 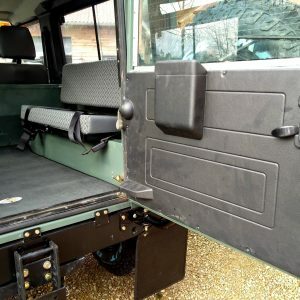 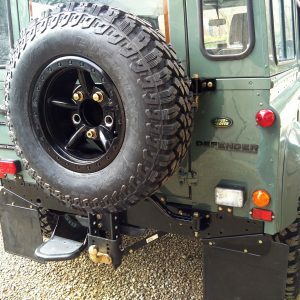 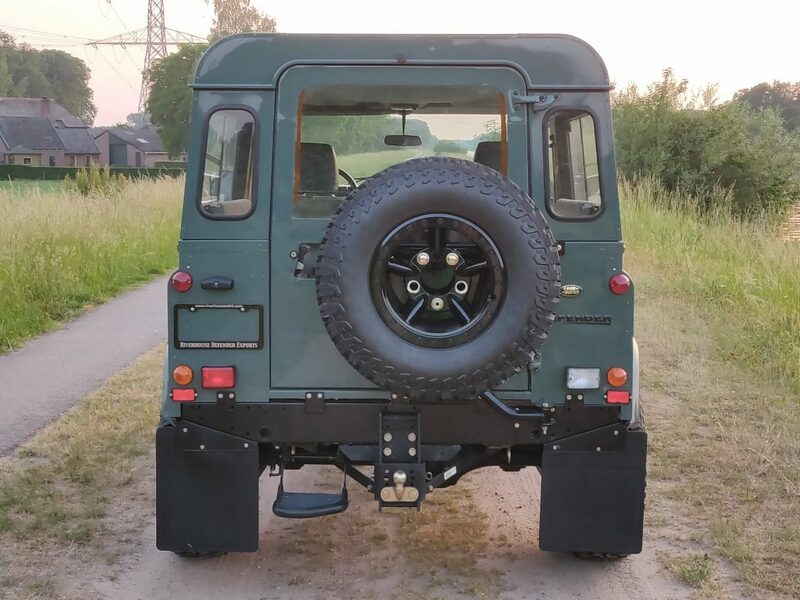 MANTEC spare wheel carrier with matching spare on the back door. 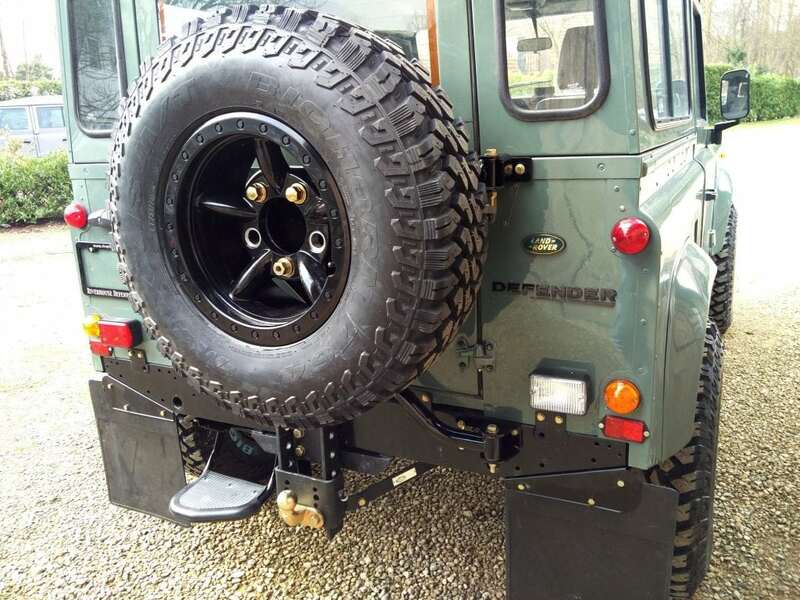 New rear step, new towbar and new rear mudflaps.